The Interior Gallery Company is designer and direct importer of luxurious and modern living room sets. By offering factory direct prices, rest assured you will find a variety of discount sofas and sofa sets for any budget. Our styles reflect Old World Eclectic Charm, Rococo, Neo-Classical, Baroque, European Classical, and Modern designs for any living room setting. The Interior Gallery living room sofas are offered in a variety of fabrics including traditional neutral colors to vibrant deep colored velvets. Birch wood is also used to offer high quality designs with ornate carvings to present unique hand crafted, high quality, sofa pieces. The Old World Eclectic sofa sets offer carefully woven upholstered fabrics, hand carved wooden framed edges, and a gorgeous abundant supply of toss pillows, candy roll pillows, and handbag pillows. The Rococo and Neo-Classical sofa sets offer high quality velvet and hand carved birch wood frames. Finally, our Barouque and European Classical sofa sets offer Victorian 24K gold plated frames. Thick Semi-Analine Leather - This leather is more durable than analine leather while still retaining its natural appearance. The increased durability is provided by the application of a light surface coating which contains a small amount of pigment. This ensures consistent color and imparts some stain resistance. Thick Corrected Grain - This means the top surface (top grain) of the leather has been buffed or sanded to remove marks and imperfections that occur naturally on the surface of the hyde. A grain pattern is then applied to the leather surface by mechanical means so that the leather pattern will generally be even over the entire piece. This method is commonly practiced on leather that will be finished in some way, i.e. pigmented (protected). Constructed with a solid Pine wood frame, you may rest assured that our elegant leather products are as sturdy as they are beautiful. Select models also come with fully electric adjustment mechanisms so you may recline or adjust your seat to the perfect position with just a touch of a button. Many models feature high polished chrome plated detailing and legs for the perfect modern look. Our goal is to maintain a culture of luxury at affordable prices. 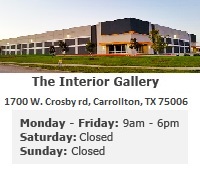 Our promise is to bring beauty, comfort, and elegance as part of your daily experience at home or office.